Retirement has, in some ways, become an unfriendly word. With so many changing elements, it can be hard to know if you have done enough for a comfortable retirement. With the government introducing changes such as the Affordable Care Act and ever-changing tax provisions, the financial landscape can be difficult to keep up with. It’s safe to say that even those who were once firmly grounded in financial education are often struggling through a quagmire of hidden laws, minor details, and potentially damaging clauses. More than ever it has become essential for people planning their retirement, and those already greeting their retirement days, to have reliable financial advice to guide them through the maze of detailed planning that will be necessary to achieve a comfortable degree of success. 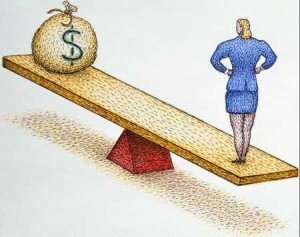 Thinking that your retirement income is enough, and strategically planning for it to be enough, are two very different things! It’s a sad reality that many baby boomers who are now reaching their retirement years will not have enough to fall back on. According to the Employee Benefit Research Institute, some 46% of American workers have less than $10,000 saved up for retirement. Even worse, 29% of the workforce has less than $1000 saved. With savings at an all-time low, and the demand for financial literacy so high, it’s easy to see how important retirement planning hasreally become for the average person. Many people are unaware of the changes that should be made when moving from an accumulation phase to a distribution phase. The focus should be on constructing a low-risk, low-volatility retirement income plan that will help provide them with the stable income they need for the rest of their lives. Doing this safely and without subjecting your life savings to undue risk can be an impossibility without good and accurate information. When the financial field is so littered with bad practices and unaccountable brokers, how do you—the authentically motivated consumer—ensure that your retirement will be safe, secure, and sustainable for the long haul? Once retirement is on the horizon, many of the rules that you’ve followed while accumulating your pot of gold will need to be suspended. If you take the time to educate yourself even a little bit, your efforts will likely be greatly rewarded, generating lasting results. This education can (and often does) make the difference between success and failure. The risks in retirement are real, and they can be devastating. Imagine yourself running out of money some years into your retirement. Imagine suddenly being stripped of the income that you believed was secure, simply because of an overlooked technicality. It can and does happen to people every day. If you discount the value of adequate retirement planning, somewhere down the road, you, as well as your family, may be paying the piper. 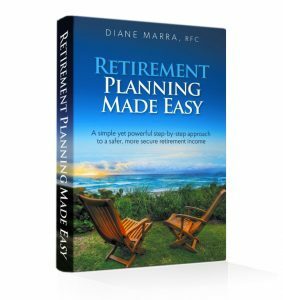 If you would like to learn more about protecting yourself from devastating pitfalls, as well as strategies for safely managing your retirement income, this book www.howtoplanyourretirement.com will walk you through procedures and ideas for preparing and setting up a plan. It’s really not as difficult as many would have you think!